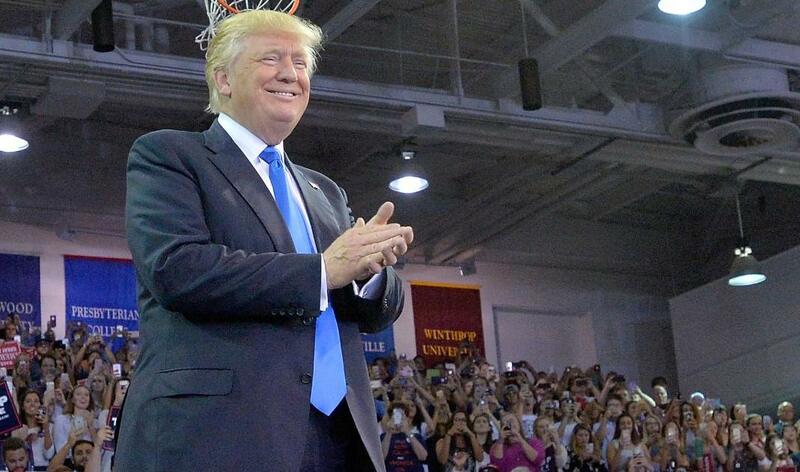 — Donald Trump on Tuesday, September 20th, 2016 in a speech in Kenansville, N.C.
By Louis Jacobson on Thursday, September 22nd, 2016 at 3:28 p.m.
Trump is absolutely not correct in saying "Our African-American communities are absolutely in the worst shape they've ever been in before. Ever. Ever. Ever." Pants on Fire. In his continuing efforts to court African-American voters -- a group that overwhelmingly backs Hillary Clinton -- Donald Trump took a moment at a rally in Kenansville, N.C., to reiterate his call for African-Americans to turn against the Democratic Party, arguing that the party has poorly served black Americans’ interests for decades. "Our African-American communities are absolutely in the worst shape they've ever been in before. Ever. Ever. Ever," Trump said. "You take a look at the inner cities. You’ve got no education. You’ve got no jobs. You get shot walking down the street." The comment quickly sparked criticism on social media, with many accusing Trump of having no sense of American history. We analyzed Trump’s comment that black American communities are "in the worst shape" ever, using history and data. We’ll note here that African-Americans continue to trail white Americans in many important quality-of-life measurements, among them economic, health and criminal justice metrics. Being better than the past is "a pretty low bar," said Bruce Levine, a historian at the University of Illinois-Champaign Urbana, who has authored books about slavery and the Civil War. Not only do African-Americans currently trail whites in many economic measures, but they "continue to face major discrimination in hiring, access to housing, mortgages, and decent schools and — as almost weekly headlines from around the country demonstrate — death, while unarmed, at the hands of police." A Trump surrogate, New York City council member Joseph Borelli, said something similar on CNN. "I don't think he's talking about the days of Jim Crow, even the days of the civil rights movement of the '60s and obviously not slavery," Borelli said. "But he's saying the African-American community is at times being outpaced by other communities." The clearest counterpoints to Trump’s statement are more than two centuries of slavery for African-Americans, followed by another century of discrimination, disenfranchisement and lynchings in the South, the region where most blacks lived at the time. 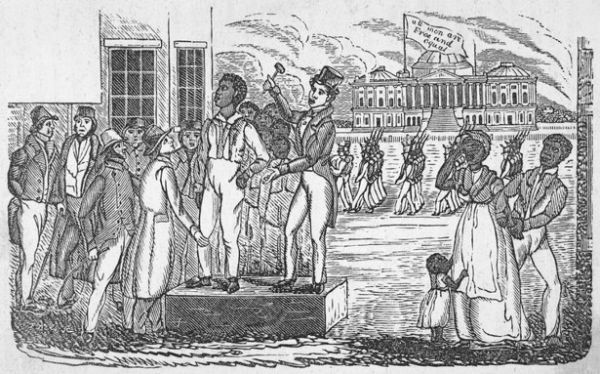 "African-American communities are suffering from many social ailments, including poor schools and high unemployment, and it is important that candidates address these problems and offer specific ways of ameliorating the situation," said Eric Foner, a Columbia University historian who has written numerous books on slavery and post-Civil War reconstruction. "However, it is absurd to say they are in the worst shape they've ever been. Putting slavery aside, go back to the Great Depression, or the crack epidemic of the 1970s and 1980s." Herbert S. Klein, a historian at the Hoover Institution at Stanford University who has written several books about slavery in the Western Hemisphere, agreed. "Not to say that color is not a fundamental marker today of comparative health and well-being — African-Americans are still the poorest and least healthy of the U.S. population," he said. "But it’s still much better than in previous decades." Trump "needs a history lesson — or two — desperately," added Harold Holzer, a historian at Hunter College who specializes in slavery and the Civil War. Unemployment for black workers has zigzagged up and down with recessions and recoveries, just as it has for whites. But historically, the present day is a relatively strong period for black employment. Nationally, the black poverty rate is 24.1 percent, which is much higher than the 9.1 percent percent it is for whites. But that’s still lower than it has been in the past. The annual black poverty rate never fell below 30 percent between 1966, the first year it was tracked consistently, and 1994. And it has only been lower than it is now in four previous years, starting in 1999 and ending in 2002. Here’s a chart showing the data from the late 1970s until 2014. The green line shows the rate for African-Americans. Shortly after 1900, black men could expect to live from birth until their early 30s, and black women could expect to live until their mid 30s. Since then, life expectancy for African-Americans has essentially doubled. Today, a black man has a life expectancy from birth in the low 70s, and for black women it’s the high 70s. And here are the figures from 1970 to 2013, showing a similar pattern. African-American graduation rates from high school and college have risen over time. The following chart shows black rates of high school graduation (the top lines) and black rates of college graduation (the bottom lines). Both have been climbing since the mid 1970s, when the data series began. On multiple occasions, Trump has said that crime is rising. There is evidence of an uptick for 2015 and 2016 -- neither of which is a year with final federal data available -- at least in certain cities, such as Chicago and Baltimore. But as we have previously noted, the homicide rate and the violent crime rate have fallen to such an extent over the past quarter century -- both in big cities and in the country at large -- that it would take many years of significant increases to return to the "record levels" of the early 1990s. African-Americans have also experienced a drop-off in the incidence of being a crime victim, at least through 2014, the last year final data is available. In 2005, for instance, 32.7 per 1,000 African-Americans age 12 and older were the victim of a violent crime. In 2013, that fell to 25.1, and by 2014, it had fallen further, to 22.5. Rates peaked in the early 1980s at nearly 40 per 1,000. Trump said, "Our African-American communities are absolutely in the worst shape they've ever been in before. Ever. Ever. Ever." Trump’s emphatic statement lacked any nuance. There is no comparison between the situation today and slavery, or the situation today and the Jim Crow era. Meanwhile, over the past half-century, African-Americans, despite consistently trailing whites, have made significant strides in life expectancy, educational attainment and other measures, and currently have unemployment and poverty rates that are near historical lows. We rate his statement Pants on Fire. Published: Thursday, September 22nd, 2016 at 3:28 p.m.